Happy New Year, Outdoorsy People! Here's for a successful and joyful new year, full of outdoor adventures and new cool friends. Enjoy the party and have a nice holiday! Thank you for stopping by and reading this outdoor blog and thanks for sharing your thoughts in the comments. All the best in 2011... I'm looking forward to another great year! Happy New Year to you as well! 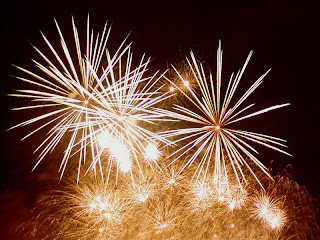 Hope you have a great 2011! Happy new year to you, too, Constantin! I hope you have an awesome and very outdoorsy 2011 :) Got any big climbing plans?